If you’re not familiar with the Link AKC smart collar, let me just preface by saying: it should be the first thing on your list for your puppy this holiday season. 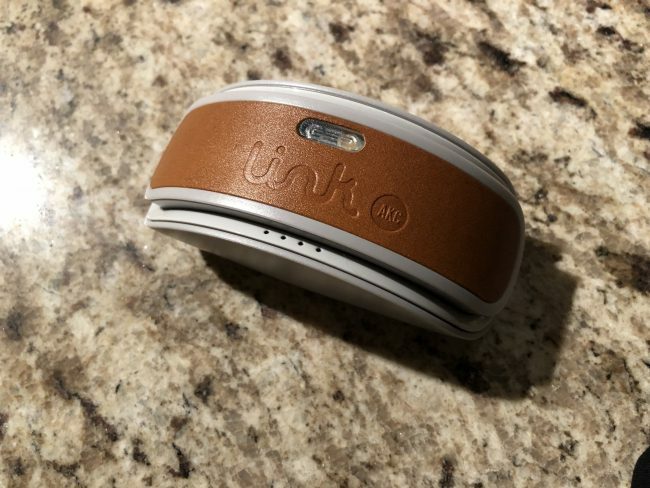 Tracking your dog’s activity and location, the Link AKC is essentially a fancy (but pricey) alternative to that cheap collar your pup has been wearing, yet all the while smarter. 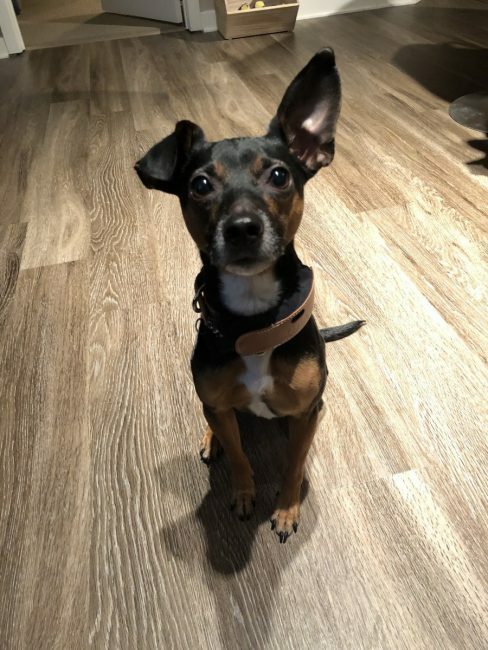 I will say, initially, Sparky was a bit taken aback by the size of the Link AKC around his neck, and I was a bit worried about leaving him alone with it on his neck, which resulted in my only placing the collar on when he’s in the house. This could be a detriment to those dogs who typically keep their collars on all day, so please keep that in mind. And a 12-pound puppy like me is just bound to scratch and claw at the Link AKC if they are easily annoyed by it, so my suggestion is to start by only using the Link AKC on walks to familiarize your pup to the gadget. Once acclimated, the Link AKC is a welcome addition to your dog’s lifestyle. Sparky has “run off” twice on us since we’ve received him, luckily to be returned by good Samaritans, so when we received the link, the fact that the collar allows for location became a godsend in the event Sparky ever jumped out of the back of the truck while we loaded groceries again. 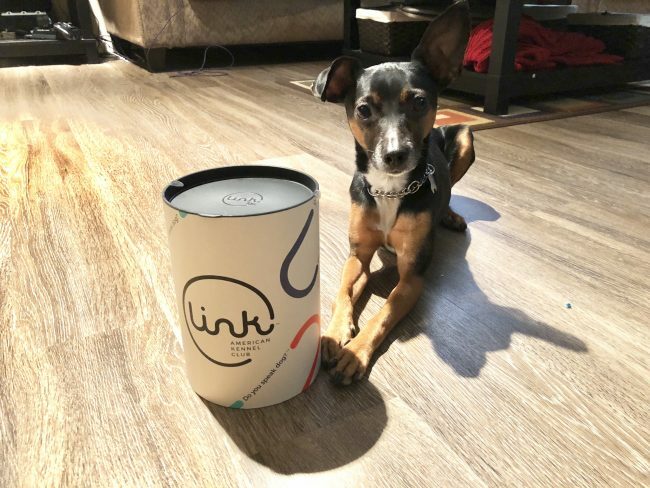 With the companion Link app, you can actually track your puppy as well as get alerts on their whereabouts, which is something every dog owner that does not have a chip in their pet needs to have. 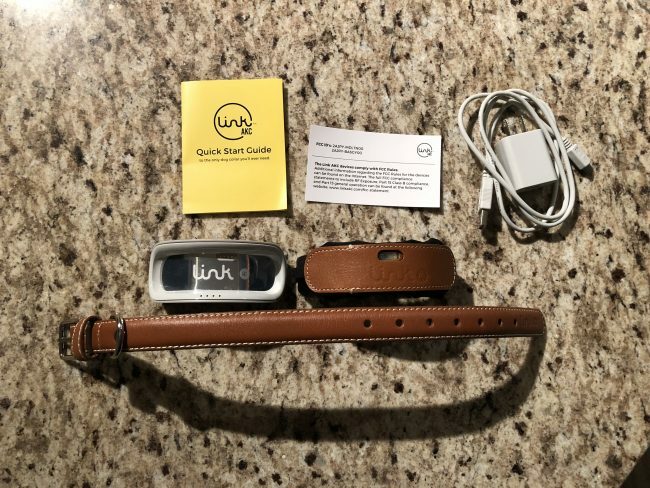 Outside of the “lost and found” element of the Link AKC, you can monitor your dog’s activity and wellness all from an app. Imagine my amazement taking Sparky to the dog park and being able to see the level of activity he had running around greeting other dogs and just enjoying himself at the park. There are other features to enjoy about the Link AKC like a remote-controlled light which is great for those night walks with your puppy and a temperature gauge that lets you know if the weather conditions are appropriate for your four-legged friend. The companion app even allows you to store photos and share them to your favorite social media app. All-in-all, I love the Link AKC despite its large size (even for my small puppy). It does require charging, but luckily it comes with its own dock, and leather leash that was a hit for Thanksgiving from the family. So why not switch from buying your dog treats and chew toys this holiday season? Get them the Link AKC by clicking this link today. Source: Manufacturer supplied Review unit.